Flicking through the US Department of Agriculture’s Truck Rate Report for last week, what leaps out is an apparent shortage of supply. Both in terms of availability of agricultural road services as a whole as well as by product type, the market appears to be very tight. Of the 26 regions on the survey, 13 were reporting a ‘shortage’ on the spot market with only six reporting an ‘adequate’ availability. None reported an over-supply. Bearing in mind the weather conditions across much of the country this is perhaps not too surprising. 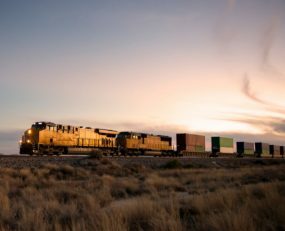 The US has suffered from a series of weather-related disruptions for most of the past six months and these have undeniably disrupted both road and rail services. However, the underlying picture in terms of demand suggests that this tightness may well continue. The US economy is growing rapidly, with an annualised rate over the past two quarters of over 3%. Much of this is fuelled by retail demand, leading to a record level of imports and a highest-ever trade deficit. This has been reflected in volumes handled at container ports, with the National Retail Federation/Hackett Associates Global Tracker Index estimating a 6.4% rise in US container import volumes for 2017. With the economic numbers suggesting that consumer spending may well continue to grow over the short-term, underlying demand conditions are unlikely to ease. The consequences for most areas of the US logistics economy are clear. Many sectors are facing medium-term restraints on supply-side growth, such as road freight’s shortage of drivers. Fixed assets such as aircraft, rail services and ports are achieving sustained higher levels of utilisation, giving them a strong-hand in terms of pricing. Concern has been expressed that continued loose monetary policy in the US, combined with tax cuts in the face of what is clearly a strong economy, may lead to higher inflation. If so, the logistics economy may be an early indicator.